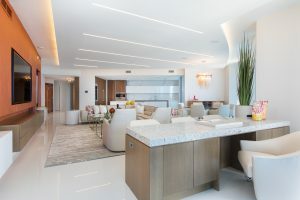 Welcome to a tour of one of our recently completed projects: An Intelligent Home in Fort Lauderdale’s Paramount building. 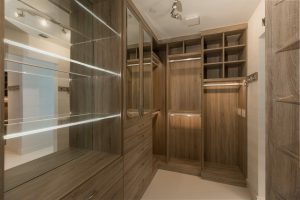 Our client wanted to integrate all aspects and conveniences of Intelligent Living, though the property is located in a high-rise condominium. Everything starts in the great room, which features high-end audio by Martin Logan and Leon Speakers, and a Sony 85″ TV, with sound processing by Lyngdorf Audio. 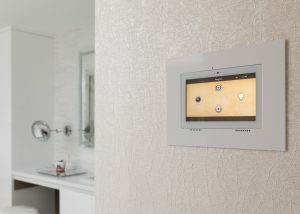 Additionally, we included fully motorized custom window treatments and lighting control by Lutron. 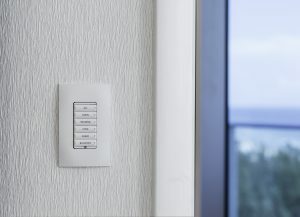 All equipment and features throughout the home are controlled by keypads, touch panels and smart devices, powered by Control4. The luxurious Master Bedroom features full surround sound by Leon Speakers and Lyngdorf Audio Processing, Lutron lighting and custom shades, and a Sony 85″ TV. We have discreetly placed wireless access points throughout the home, to ensure seamless wifi and a robust network. Shown here is one tucked away in the Master Closet. Our client wanted a unique home office, and we were happy to accommodate him, instead of a standard computer monitor, we connected him to a 75″ Sony monitor, and outfitted him with Martin Logan speakers, and a Leon subwoofer. Upgrade your office! There is access to the system from every room in the house, including the bathrooms. Listen to music, use the intercom, control the lights and shades, whatever you like!